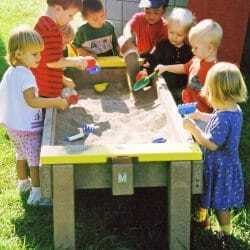 Add the Sand Table Activity Panel to The Adventurous Child Sand Table. 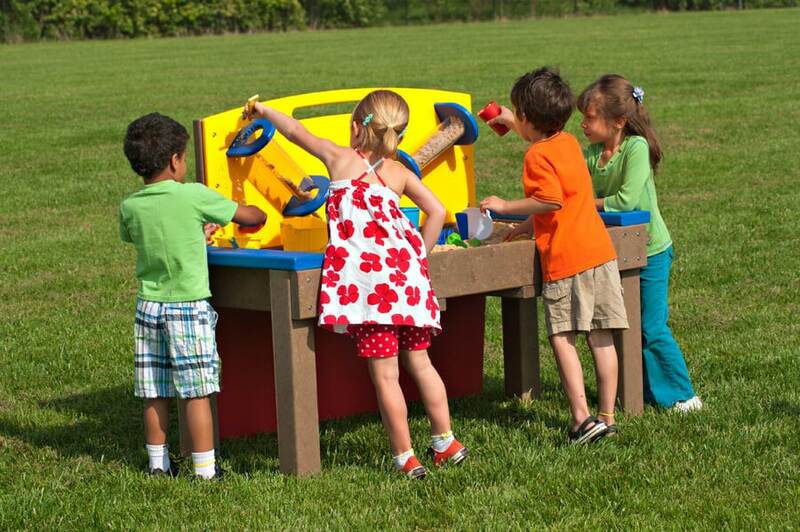 The Sand Table Activity Panel Add-On has two clear chutes that allow the children to pour the sand into the chute and observe the sand slide down and back into the Sand Table. • Sand and manipulatives are not included.